KEAAU – There was a new face and a familiar face crossing the finish line during a Big Island Interscholastic Federation cross country race this Saturday as Kamehameha played host on their sprawling campus. 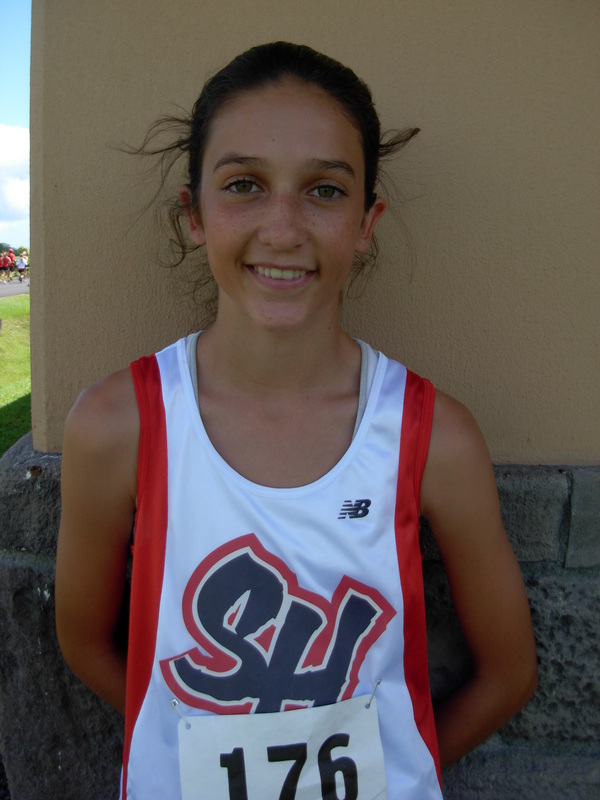 Hilo’s Mehana Sabado-Halpern (19:58) won her first BIIF 3 mile race of her young harrier career and St. Joseph’s Andrew Langtry (17:19) won his second in as many weeks, winning at Hawaii Preparatory the previous week. 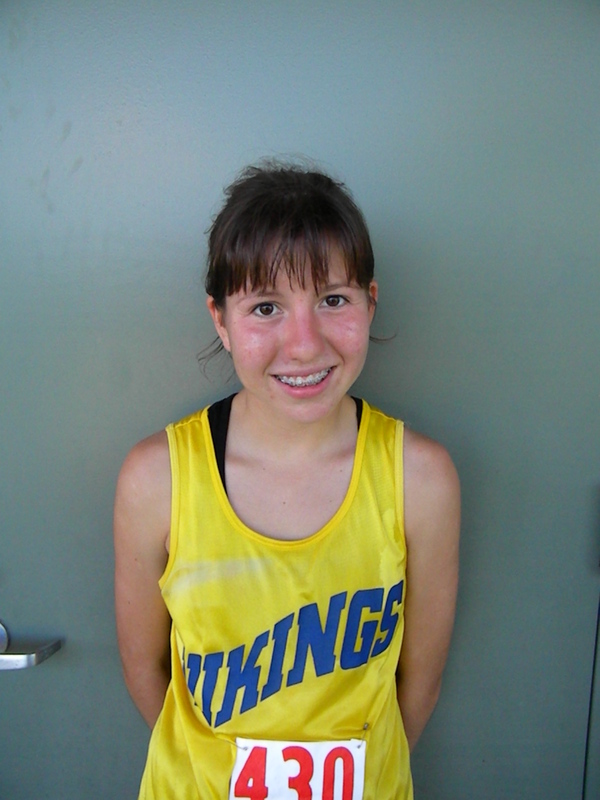 Sabado-Halpern, a sophomore, never ran cross country last season and discovered her distance talent as a result of being talked in to coming out for the sport by teammate Carmen Garson Shumway. 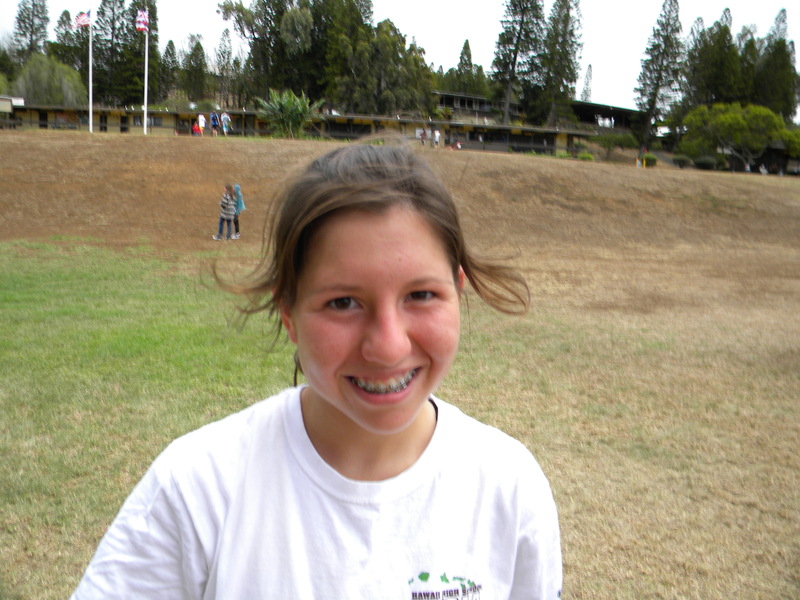 “We balance each other, Mehana is good at distance and I’m good at speed,” Garson Shumway said. Garson Shumway finished the varsity race in second overall giving the Vikings a great 1-2 punch but not enough to overcome Ka Makani harriers for the team title. 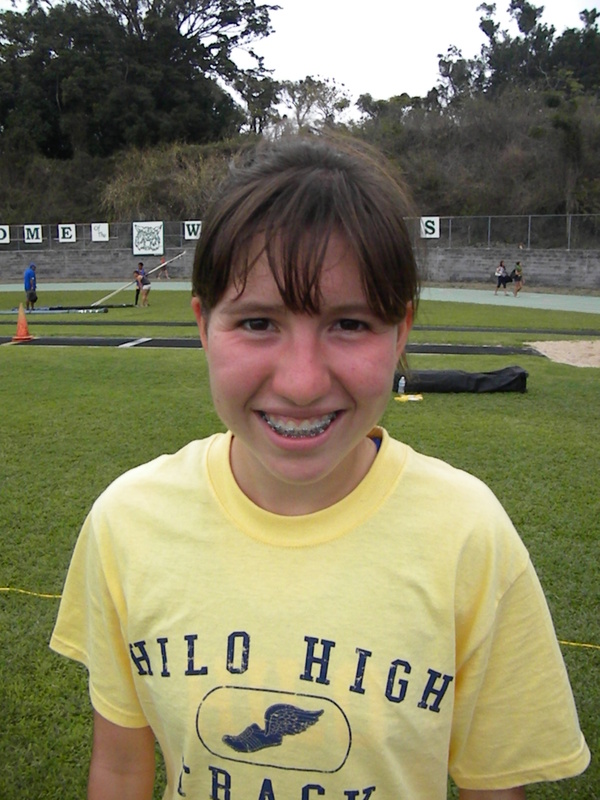 The Hilo duo trailed mid way during the race to a five pack of HPA runners, led by defending BIIF champ Zoe Sims. “I love running and it is really fun to run together and help a freshman team member,” Sims said. HPA coach Michael Franklin echoed the same team strategy. “I wanted our girls to hold the pack together. I’m really happy with the result. You don’t need to coach the top runners, you work to reach the 4th through 10th runner on the team,” Franklin said. The defending state champions Lady Ka Makani harries took the team title with 28 points followed by the Vikings with 63 and the host Warriors with 97. For Langtry it was his second league victory in as many weeks firmly establishing himself as the one to beat in the BIIF. Langtry started out in the middle of the pack and pulled ahead and took the lead for good near the half way mark in the course. “I pretended someone was right behind me the entire time to be able to put pressure on myself,” Langtry said. But seeing the Cardinals back is only making Gregg run faster. On the HPA course Gregg went out fast and led the race until faltering in the second half to drop to sixth place. On the Warrior course Gregg used a different strategy. The 8th Annual Kamehameha Hawaii Invitation Cross Country Meet was held on Saturday with 4 races (2 open races followed by 2 varsity races) with awards going to the top harriers in each race. “We gave 10 keychain medals in each of the varsity races (both boys and girls races) and 5 keychain medals in each of the open races for a total of 30 medals,” Joel Truesdell, Warrior girls varsity coach said. Koa plaques were given to the top 3 teams in each varsity race and 2 more koa plaques were given to the tops 2 teams in the open division. 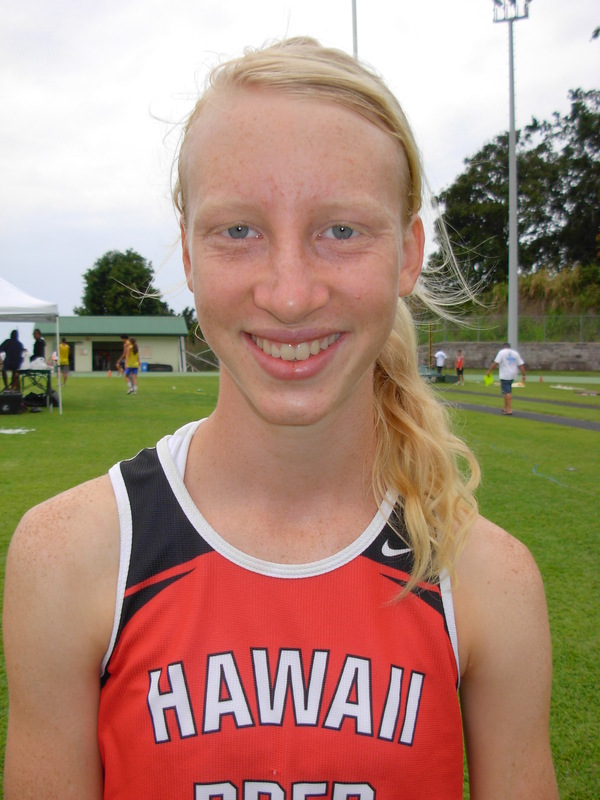 In the girls open Hilo’s Bailey Honda won in a time of 24:30 and HPA won the girls team open title. 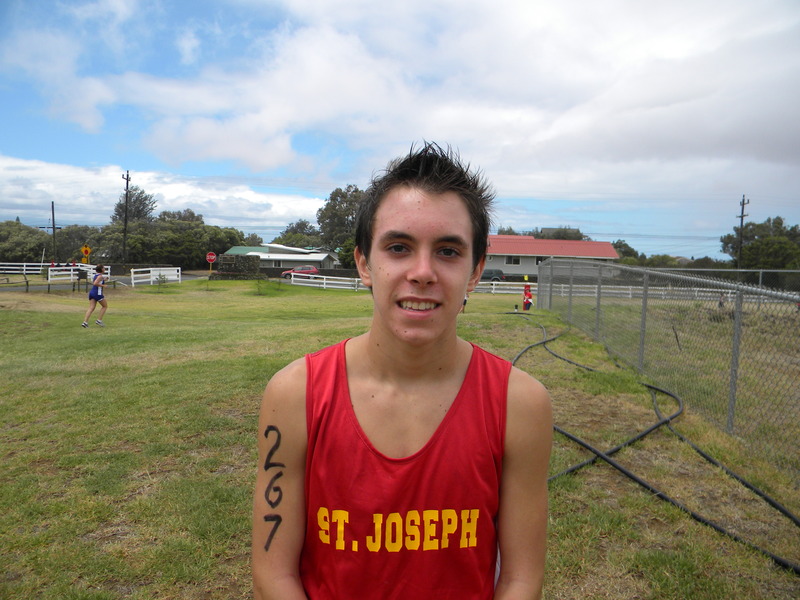 For the boys open it was Colton Hill from host Kamehameha in a time of 19:45 with Honokaa taking the boys open team title. 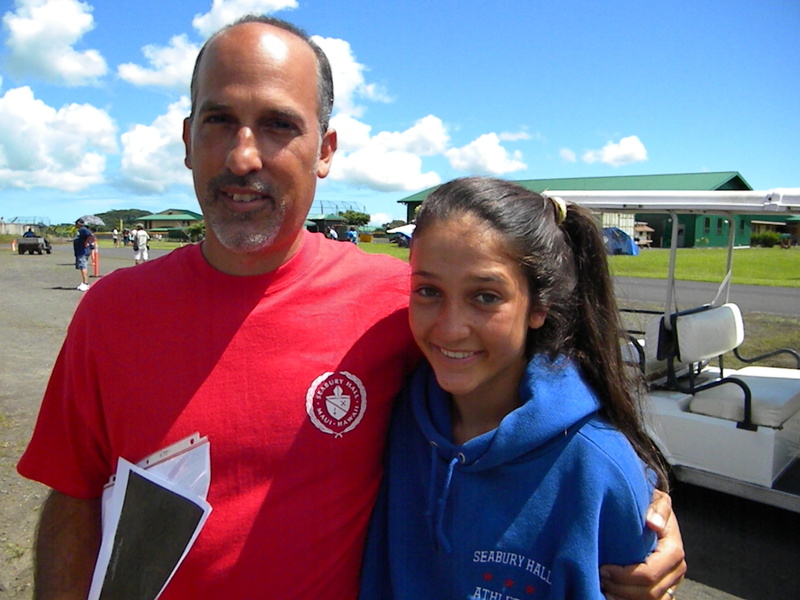 Over the years the Truesdell’s pay for the awards out of their own pocket with the commitment to raise the level of running in the Big Island Interscholastic Federation according to Coach Truesdell. The only off island team to make the trip this year was Watsonville from Central California with 7 varsity boys and 7 varsity girls. Watsonville won the boys team title with 46 points distancing Hilo with 76 and Kealakehe (97) five times league champion Honokaa was fourth (100) followed by host Kamehameha Hawaii (113). Watsonville coach, Alex Siqueiras, was here for a second time and he is glad to return. Truesdell has 4 mainland schools teams already committed and they will be running around 850 koa trees planted around the course for the kids to run through. 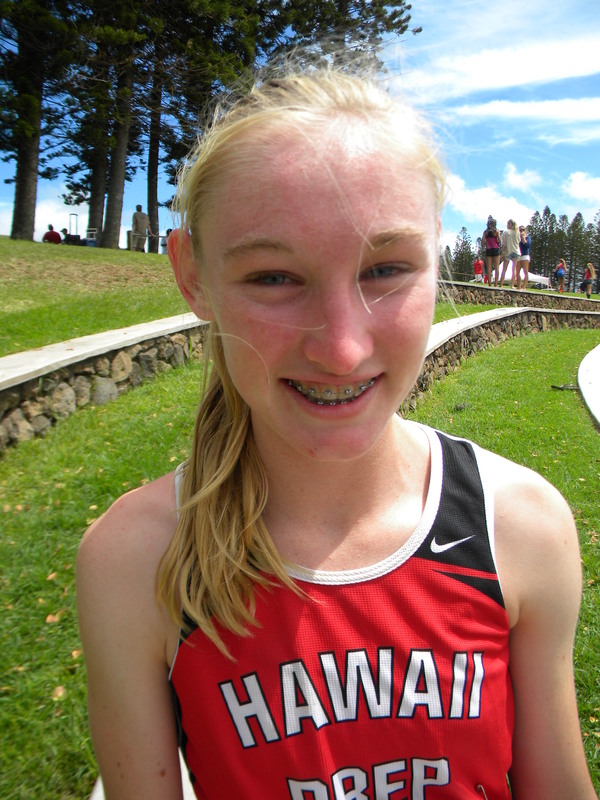 Also Anna Maxwell, one of the top runners in the country is expected to face off against Hawaii State Champion Dakota Grossman from Seabury, Maui for a second time, according to Truesdell. 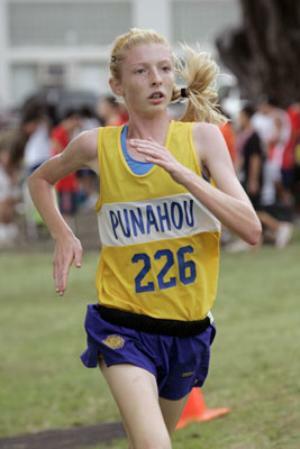 Next week league harriers have a BYE and on Sept. 22 action continues with the boys and girls races at Waiakea starting at 10am.